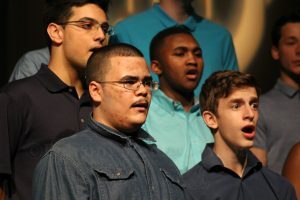 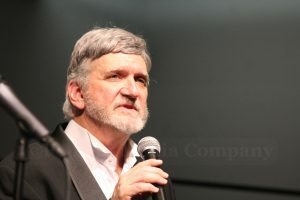 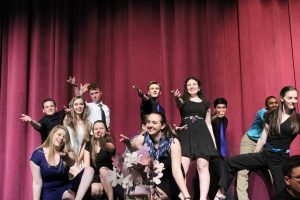 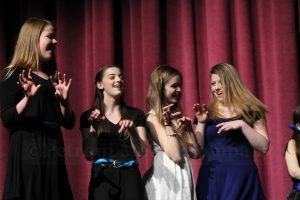 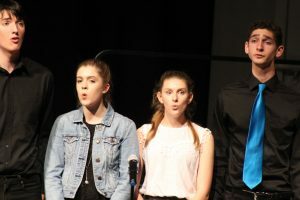 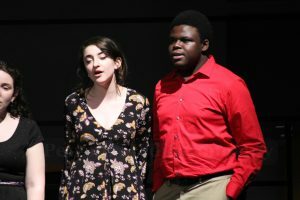 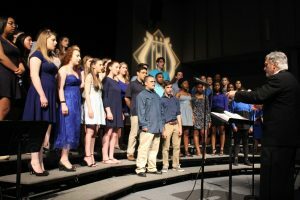 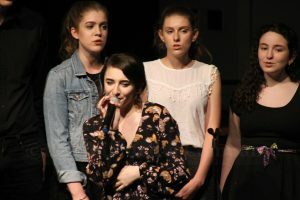 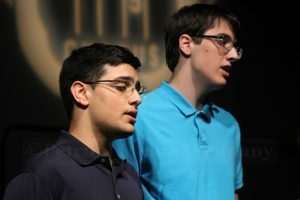 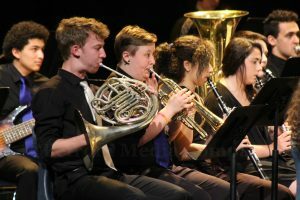 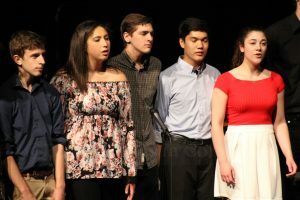 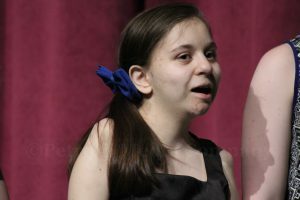 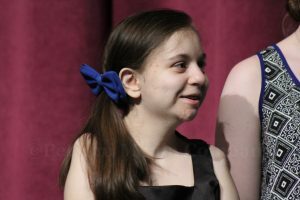 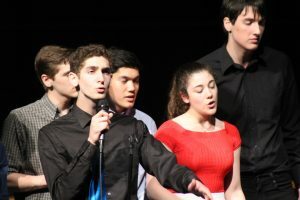 FRAMINGHAM – Framingham High School held its annual POPS concert last night, May 17. 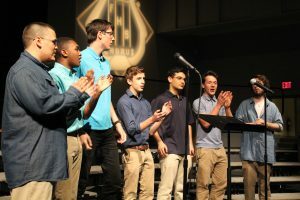 Performances included the Madrigals chorus, the concert choir, the orchestra, Vocal Cannons, the Percussion Ensemble, the co-ed A Cappella, and the gold medal winning jazz band. 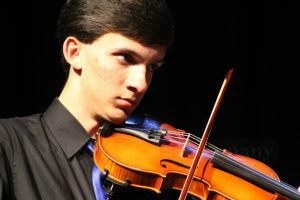 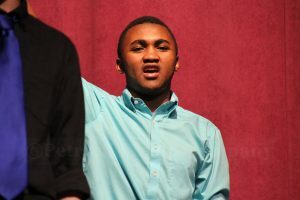 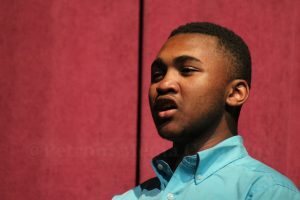 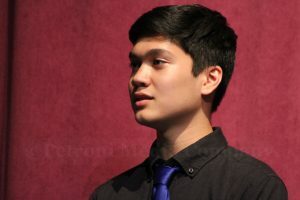 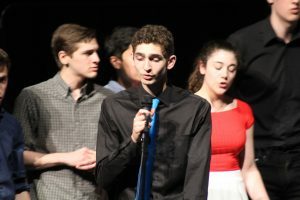 Wednesday night was the final concert performance for many of the seniors at Framingham High, including Eric Tarlin. 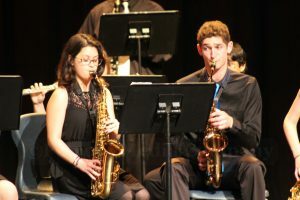 Tarlin, an award-winning saxophonist performed with the band and the jazz band, after helping his volleybal team to its 11th win of the season. 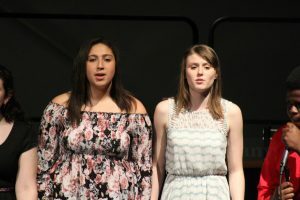 Tralin also had a duet with Sabrina Bondar singing Shape of You by Ed Sheeran as part of the A Capella performance. 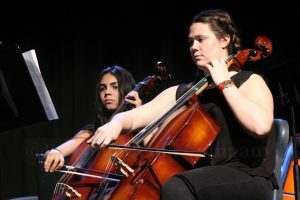 Tarlin this fall will be part of a new 5-year dual degree program with Harvard University and the Berklee School of Music. 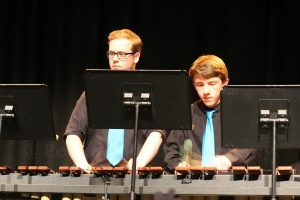 Last night, was also the final performance for senior Jordan Ramsay, who created the award-winning Percussion Ensemble four years ago as a freshman, in 2013, as an extension of the marching band’s percussion section. 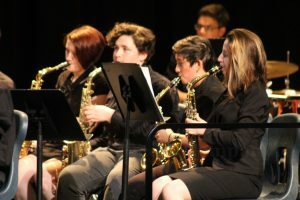 The ensemble performed two pieces Fiesta written by Ramsay and Wrecking Ball by Miley Cyrus, arranged by Ramsay, who will attend George Washington University in the fall. 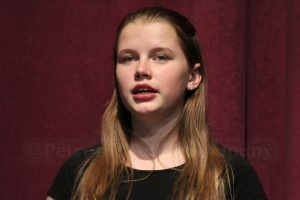 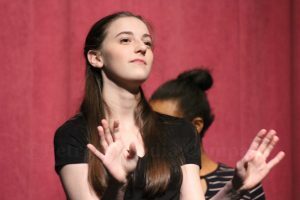 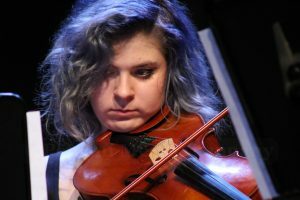 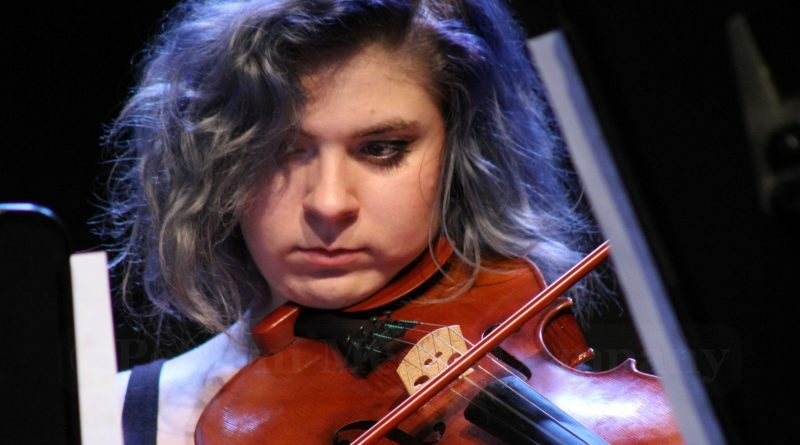 Wednesday night was also the final performance for senior Leah Gutman, who will be attending McGill’s Schulich School of Music in Quebec, canada to study viola performance and msuical technology applications and science. 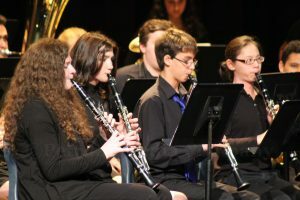 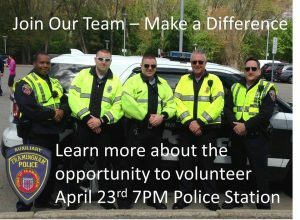 Gutman has participated in the marching band, rchestra, concert band and jazz band at Framingham High. 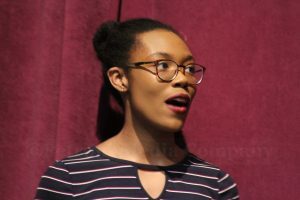 She said her participation in these ensembles has not only been integral to her career decisions, but also her personal growth. 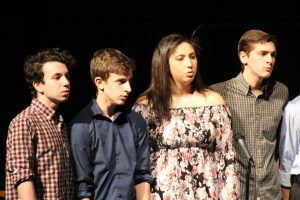 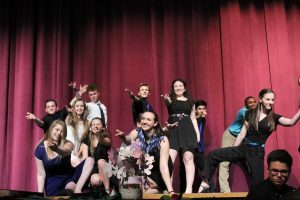 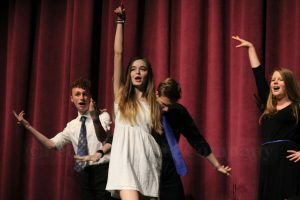 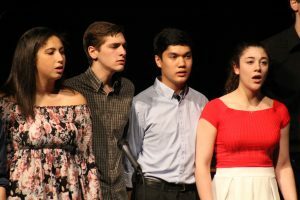 Tarlin, Ramsay, and Gutman, were just three of the dozens of seniors who concluded their performing arts career last night. 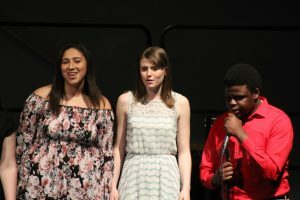 The concert choir performed Rockabye, with Ryan Gallagher on drums, Andrea Mejia on violin, and Cesar Gray on bass, to open the POPS concert. 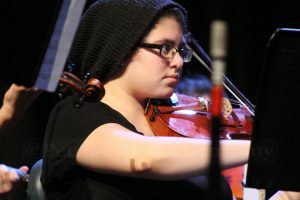 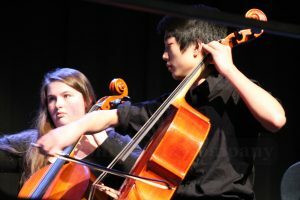 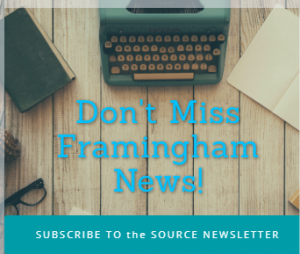 The Framingham High orchestra, which recently won a silver medal, performed selections from the musical Les Miserables and Danse Bacchanale. 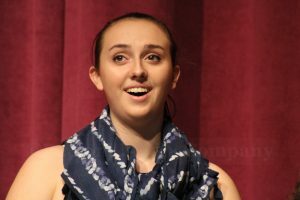 The Vocal Cannon sang the Evolution of Music and sang and danced to Justin Timberlake’s Can’t Stop the Feeling. 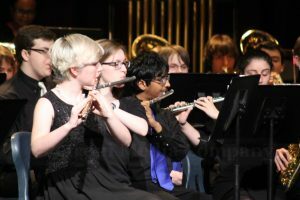 After intermission seniors Lara Williams on flute and David Winters on Piano performed a musical duet. 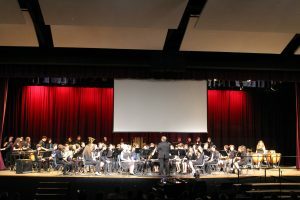 The Framingham High band performed excerpts from Hollywood movies and Mars. 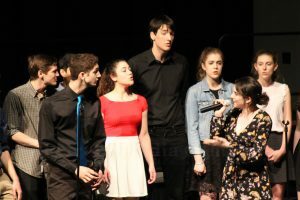 Besides the Sheeran number, the mixed A Cappella group also performed Chandelier by Sia and Run to You by Pentatonix. 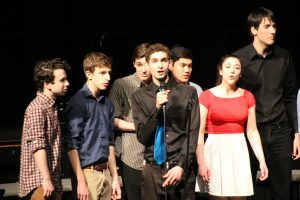 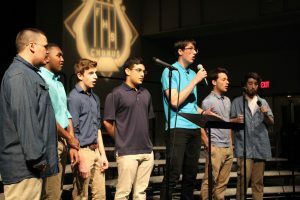 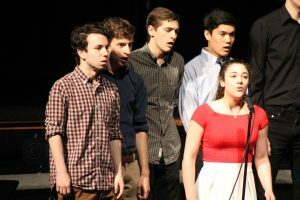 The Pops concert concluded with all the Framingham High choruses singing You Will Be Found from the Broadway musical Dear, Evan Hansen, featuring sophomore Jack Williams as Evan Hansen.